Nashville, TN – November 27, 2018 – (GuitarPR) – Rivolta Guitars, the newest line of instruments designed by the highly acclaimed guitar maker, Dennis Fano, has announced an aggressive new dealer initiative. Designed to enlarge and promote their existing dealer network, the initiative is offering a variety of promotional tools and services to support the expansion of this unique guitar line. Among the tools available to dealers is an elaborate new brochure featuring the entire Rivolta line. 36 pages of full-color elegance utilize the highest quality printing to present their guitars with both pictures and information in a stunning fashion. This new brochure and more will be available at the Rivolta Booth #5450 in Hall D at the Winter NAMM Show in Anaheim, January 24-27, 2019. 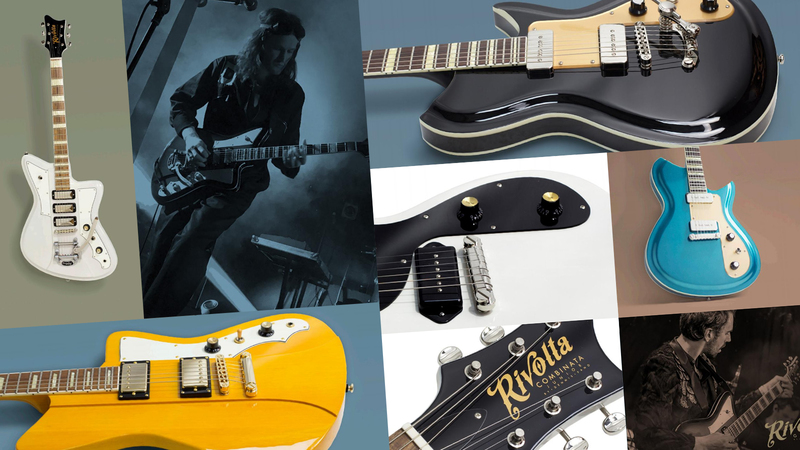 However, interested dealers should preview the entire brochure online right now at: https://eastwoodguitars.com/pages/rivolta-dealer-page. Additional Rivolta dealer opportunities are now opening up and the company is encouraging those interested in carrying the line to contact them immediately through their website at http://rivoltaguitars.com, or plan to visit with their representatives at the NAMM show. Rivolta Guitars is the newest creation from luthier and designer Dennis Fano of Novo Guitars and Fano Guitars. Each Rivolta carries his signature blending of familiar designs to create a fresh new twist. Known as the Workingman’s Boutique, Rivolta is now making Dennis Fano’s work more accessible than ever before with its new dealer initiative.